The monkey puzzle tree is a popular ornamental tree with a very distinctive appearance. Pruning this tree requires a very particular approach. How to do it, and when is the best time for monkey puzzle tree pruning? Read on to find all your questions answered. The monkey puzzle tree, Araucaria araucana, is an evergreen, ornamental tree grown across Europe and North America. It’s a tree with a long life – often 1,000 years – and an ability to grow to heights of 30 metres. Monkey puzzle is non-UK native although now very popular in this country following its introduction by the Victorians. It was in fact the Victorians who gave the tree its unusual name, believing that monkeys would be puzzled should they try and climb the distinctive spiralling, spiky branches. Also known as Chilean pine and monkey tail tree, the monkey puzzle certainly cannot be confused with any other species thanks to its distinct whorled, spirally arranged branches and sharply pointed dark green leaves. It is a species that has a very long history, dating back 200 million years to when dinosaurs populated the earth. Why prune a monkey puzzle tree? The monkey puzzle tree only requires light pruning once it is established. Being an ornamental tree, Pruning is mostly required for shaping of the canopy to maintain an attractive appearance, although little effort is required to do so. It is good practice to regularly remove diseased or damaged branches to keep the tree safe and healthy. 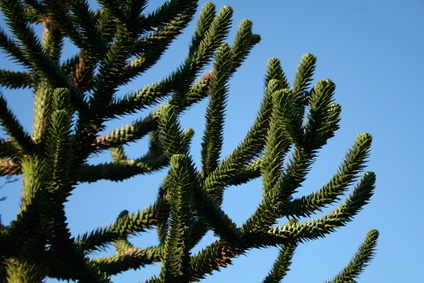 Monkey puzzle tree pruning should also be used to remove new shoots that appear to be crossing or causing congestion. You may see new shoots growing in unwanted directions and these are best pruned out in order to maintain a strong structure and pleasant appearance. Sometimes you will find brown or yellowing leaves, which should be removed during pruning although care must be taken not to damage the soft trunk whilst doing so. Monkey puzzle is prone to suckers growing near the tree’s base. Removing these is important to maintain the health of the tree as suckers draw valuable energy away from the healthy branches. Late winter to early spring is the best time for monkey puzzle tree pruning. Damaged branches are best removed in early spring, although anything hazardous should be removed immediately it is detected. Spring is a good time to identify and deal with any winter related issues. The monkey puzzle tree is pretty much free from threat of disease or pest infestation, although in some cases it may be prone to honey fungus. Honey fungus covers a range of varying species of fungi that attack and kill the roots of a number of plant species. If you see a white fungal growth between the bark and wood, usually at ground level, this could well be honey fungus. You may also see clusters of honey coloured toadstools growing on infected stumps during the autumn. Look out for decaying roots as well as rhizomorphs: structures that look like roots but are in fact fungus. Never go ahead with any tree related work without first ascertaining whether a Tree Preservation Order (TPO) is in place. If you find there is one, you will need to apply to the local authority for permission to proceed and this will usually take up to eight weeks to come through. Also, if the tree is sited in a conservation area, you will need official permission before proceeding with works of any kind. The monkey puzzle tree has become somewhat revered and anyone with this tree in their garden or on their land is usually very keen to preserve and protect it. It is therefore wise, if you are looking to prune or otherwise care for your monkey puzzle tree, to call in the experts. Tree surgeons are qualified and trained to know precisely how and when to prune monkey puzzle trees. They are also knowledgeable as to the common diseases that affect them. When choosing a tree surgeon, make sure you check out their references and certificates to ensure they actually possess the qualifications and knowledge they purport to have. Wherever possible, opt for a tree surgeon with Trading Standards and local authority approval for a guarantee of quality and value. If you have a monkey puzzle tree that needs pruning or any form of care, why not contact the specialists at T.H. Tree Services? 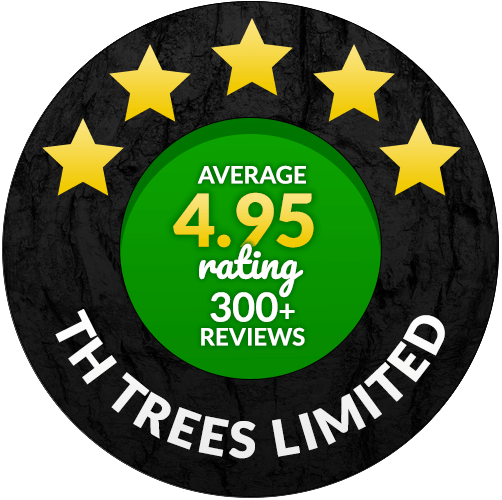 As fully qualified, locally renowned and highly experienced Trading Standards and local authority approved tree surgeons, we are best placed to offer specialised knowledge in all aspects of monkey puzzle tree pruning. For a free, no-obligation quotation, give us a call on 01268 642814 or get in touch here. It’s free and will only take a jiffy! Town location of the job?